On August 10, 1947, Violet Naomi Peoples-Woods was born to James and Verdell (Tucker) Peoples Tucker. Violet departed this life peacefully with her children by her side on February 7, 2019 at DePaul Hospital in Saint Louis, Missouri. She attended Washington High School in Mount Vernon, Illinois. Over the years Violet worked for various employers but mainly in housekeeping at area nursing homes. Violet was a member of Pavey Chapel CME Church. She was married to the late Archie B. Woods in 1968 and under this union five children were born. Violet was an avid shopper and enjoyed her family. All those that knew her, knew she spoke her mind and at times her words would cut you deep, but she would still love you just the same. At the time of her death, Violet was 71 years and 6 months old. 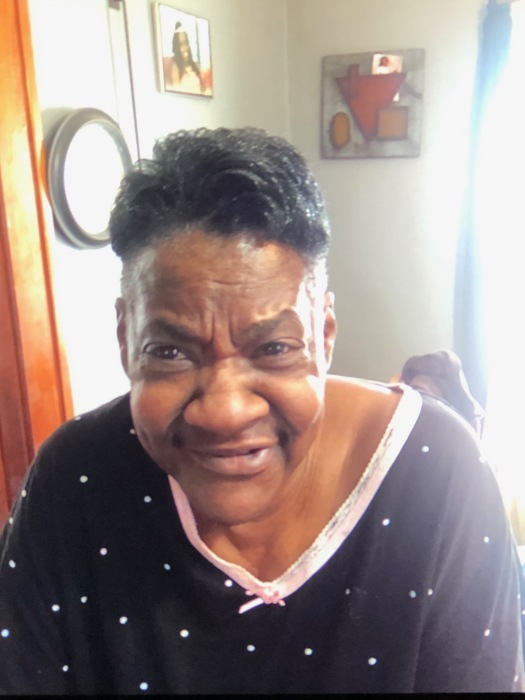 She was preceded in death by her son, Leondra Peoples; daughter, Accuretta Woods; her husband, Archie; and grandson, LaVon Xavier Woods; her sisters, Yvonne Williams and Priscilla Peoples; brother, Fred Peoples; mother, Verdell Peoples; and father, James Peoples. Violet leaves to cherish her memory daughter, Crystal Brown and husband George of Mount Vernon, Shontoevia Taylor of Milwaukee, Wisconsin, Fonchetta Woods of Mount Vernon, and Retta Woods of Saint Louis, Missouri; sons, Lowuan Woods of Camp Springs, Maryland and Rejika Peoples of Mount Vernon; brother, James Peoples of Aurora, Illinois; sixteen grandchildren; and fifteen great-grandchildren. Violet believed in God and He was the head ruler of her life. Violet Naomi Woods, “Soldier, your mission here is complete. Job well done, go and rest in glory.” Until we meet again. A visitation will be held from 5:00 to 8:00 P.M. Friday, February 8, 2019 at Newell Funeral Home, 601 S. 42nd Street, Mount Vernon, Illinois. A funeral service will be held at 1:00 P.M. Saturday, February 9, 2019 at Newell Funeral home with Pastor Allen Rudd officiating.